Can you defy all odds, and realize your beautiful dream of family and health - even when conventional medicine says you can't? By weaving together mind, body and spirit, you'll be empowered to overcome your challenges, and create the life you envisioned. 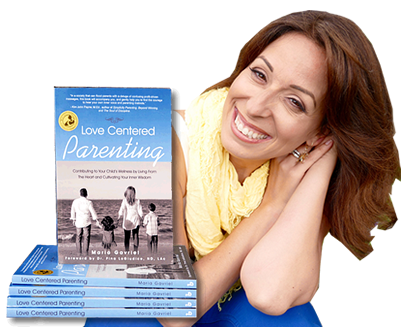 The award winning book, Love Centered Parenting is an intimate share about fertility challenges, pregnancy, birth, breastfeeding, sleep issues, diet, natural healing, and healthy choices - encouraging you to tune into your own voice, and bring your Whole self in creating the life, and family you always dreamed of. You CAN be the Parent you always wanted to be. 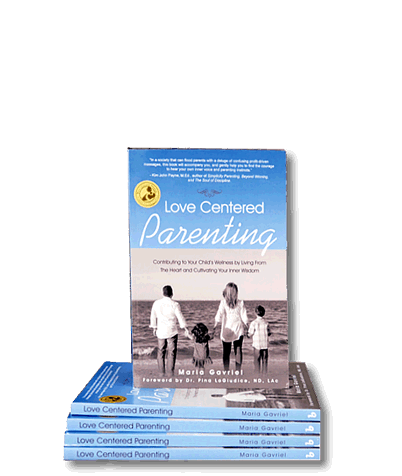 How can you bring your WHOLE self to overcome infertility, and create a family and lifestyle that's right for you? Maria Gavriel, had a vision of Family, Love, Health and Abundance. After many years of being committed to realize this vision, her heart dropped when she was told to stop by a leading expert - because she was diagnosed with infertility. This breakdown, led her to a wonderful breakthrough, that led her to overcoming her infertility; conceiving her 2 children naturally; had a wonderful healthy pregnancy, and ultimately to enjoy a conscious lifestyle that allows her family to be healthy in every area of their lives. Find out more through this video! "As a parent of three, its such a challenge to provide care for my children without schools, doctors and media clouding my judgement. Its good to have the support of other parents trying to achieve the same thing...speaking the voice of so many of "us" moms trying to accomplish honest care for our families." - Irene T.